Protection from the elements and the creation of a safe environment for staff and customers are the main reason for the construction of modern outdoor shelters. These useful and impressively simple structures have been designed to carry out a wide variety of different jobs, and can be used for different purposes depending on the specific needs of your business or service. Thanks to the ease with which you can customize the design and construction of these shelters, it is possible to get the exact kind of shelter that you need in order to give staff or customers what they want. Outdoor shelters can be provided for a wide variety of different purposes depending on your needs. 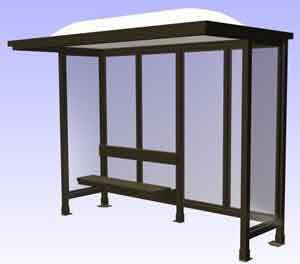 From security booths and ticket kiosks through to bus shelters and smoking areas, the different designs of shelter are all intended for specific jobs, but the main advantage of them is that thanks to the simplicity of their design, they are flexible enough to be used for whatever you need them for. Rather than being restricted to a particular task or purpose, you will find that an outdoor shelter will become an asset to your business that can fulfill a number of different roles depending on the needs of those who use it. 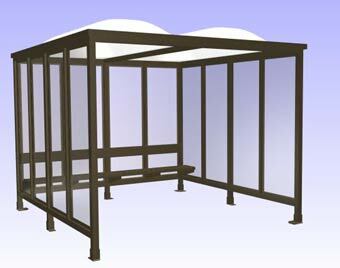 Depending on your needs, there are a number of different designs of outdoor shelter that you can choose from. One of the most popular designs is the glass sided shelter that can carry out almost any task you need it for. By adapting the basic structure to a wide variety of different tasks, it is possible to put in place systems that can be scaled to whatever your needs are. From a simple smoking area in the form of a basic outdoor shelter that is designed to provide an area out of the wind and other elements so that staff who smoke can find space away from other staff members where they can smoke in peace through to a much more complex outdoor shelter designed to be used for sales or as a concessions stand, and must accommodate a staff member comfortably for relatively long periods of time, the different shelters all feature a number of refinements to make them as simple to install and maintain as possible. When you specify the actual needs that you have for your outdoor shelter, it is important to speak to the experts who design and produce the structures. Thanks to the advice and help that is available to you in the planning stage, you will be able to understand exactly what the potential for the buildings is, and how the basic design can be tailored to your needs. From the inclusion of a basic solar power system into the design that can provide light during the night without the need to connect the shelter to the mains electricity through to custom seating and the inclusion of other power systems. 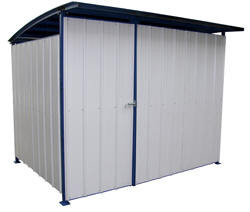 Whatever your needs for outdoor shelter, the selection of different units available from Easy Rack, combined with our long term expertise in providing and installing high quality systems means that you can rely on getting the best shelter for your needs.